YANGON (Reuters) – Myanmar pro-democracy leader Aung San Suu Kyi will be freed when her house arrest ends in November, according to a government minister quoted by witnesses on Monday, but critics said that may be too late for this year’s elections. Home Minister Major General Maung Oo told a January 21 meeting of local officials the 64-year-old Nobel Peace Prize winner would be released in November, a month after many observers expect the country to hold its first parliamentary elections in two decades. The information could not be verified independently but three people who attended the meeting said the comment was made to an audience of several hundred people in Kyaukpadaung, a town about 565 km (350 miles) north of the former capital, Yangon. The three witnesses requested anonymity. Suu Kyi, detained for 14 of the past 20 years, was sentenced to a further 18 months of detention last August for harboring an American who swam uninvited to her lakeside home, raising questions over whether the election will be a sham. That incident took place in May 2009, just before an earlier period of house arrest was due to end. Taking into account the three months she spent in a prison guesthouse after the incident, her 18-month sentence would end in November. The planned election would be the first since 1990, when Suu Kyi’s National League for Democracy (NLD) party scored a landslide victory that the country’s junta refused to recognize. Maung Oo also said detained NLD vice-chairman Tin Oo would be released on February 13, and that the government would pursue an international-style market economy after holding “free and fair” elections, including loosening restrictions on car imports. Tin Oo, 82, a former defense minister and retired general, has been in prison or under house arrest for more than a decade. Senior NLD official Khin Maung Swe said it was crucial Suu Kyi and Tin Oo were released before the election. “The most important thing is they must be freed in good time so that they can work for national reconciliation,” he said. The military junta has not set a date for the election but has promised U.S. President Barack Obama and Southeast Asian leaders the vote would be free, fair and inclusive. In recent months Suu Kyi has been allowed to meet the junta’s liaison officer and foreign diplomats. The NLD has not yet said whether it would take part in the elections, portrayed by the generals as a move to a multi-party democracy but derided by opponents as a sham designed to let the army retain real power. 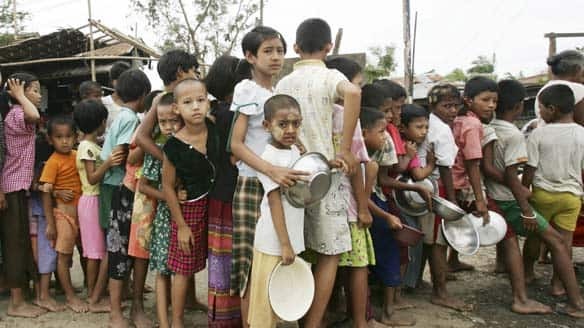 The United States and others are reviewing policy toward the former Burma after years of sanctions and trade embargoes failed to get the junta to improve its human rights record or relax its grip on power. Obama has offered Myanmar the prospect of better ties with Washington if it pursued democratic reform and freed political prisoners, including Suu Kyi. (CNN) — Myanmar’s Supreme Court in Yangon announced it will decide within a month on pro-democracy leader and Nobel Peace Laureate Aung San Suu Kyi’s appeal of her extended house arrest, her lawyer told CNN. Suu Kyi, 64, had told the court she didn’t know Yettaw, was unaware of his plans to visit and didn’t report his intrusion because she didn’t want him to get into trouble. U.S. Senator Jim Webb secured Yettaw’s release after he was sentenced to seven years of hard labor. Suu Kyi’s two sole companions also were sentenced to 18 months of house arrest, to be served with Suu Kyi. As the National League for Democracy (NLD) has extended to organize township women groups, there have been so far 22 groups within seven months, it is reported. The NLD’s Women Affairs Taskforce (HQ) has supervised to organize township women groups in the divisions of Rangoon, Mandalay and Tenasserim since last June. “Our main job is to organize. As groups of youth and women are parts of the NLD, they are supportive to implement Party’s plans by means of organizing,” said Dr May Win Myint who is in charge of NLD’s Women Affairs Taskforce in Rangoon Division. Completed are 12 women groups in Rangoon Division including the townships of Kawmu, Mayangone, Hlaing, Syrim, Insein, Hlaingtharyar, Yankin, Bahan, Kayan, Tharkata and New Dagon, 8 women groups in Tenassarim Division and 2 women groups in Mandalay Division. Mandalay’s South-East and South-West township women groups were formed on the 5th and 15th of last month respectively. To form NLD’s Women Affairs Taskforce in States and Divisions, apart from eleven supportive members in Rangoon, 2 each in Mandalay and Sagain and 1 each in Kachin, Arakan, Pegu, Karen, Shan, Magwe and Tenesarim have already been selected and assigned. Similarly, members of NLD’s Youth Affairs have been organizing in some areas of Upper Burma and Daw Aung San Suu Kyi is in charge of Women Affair Committee and Youth affair task force of the NLD (HQ), it is known. NLD’s Women Affairs Taskforce is under the Committee of Women Affairs. The battalion is Light Infantry Battalion 80 whereas the military intelligence unit has recently come from Rangoon to Light Infantry 5. Such tension has been in the news since last week besides local report. “What we know is that the tension between Light Infantry Battalion 80 and the intelligence unit recently sent to Light Infantry Battalion 5. It’s been since last week. We heard disobedience caused this tension,” said a dweller from Paun-te Township to Mizzima. However, in evening programme of BBC (Burmese) yesterday, the disobedience appeared from Light Infantry Battalion 80 under Division 66 and there was firing in the night of last Sunday, injuring one sergeant who later died on the way to a military hospital between Inn-ma village and Ywa-taung village. In addition, BBC (Burmese) broadcast that Light Infantry Battalions 80, 68 and 75, which are all under Division 66, have started disobeying since the third week of December last year because of difficulties in their living. A Mizzima reporter said that some suspect this time that it resolved in firing each other though such fighting between armed forces and military intelligences is traditional in Burma’s extremely secretive Army. An ex-army officer living overseas told Mizzima that regarding disobedience because of salary, at least 50 officers as well as rank and file were detained in two light infantries including LIB 80 based in that area around the 20th of last month. He continued that Colonel San Myint (ID-17953), Commander of Division 66, had been then in a military court. “It was absolutely not a battle, just a tension. The main cause is difficulties in living that led to their disobedience, comparatively different from those in ethnic armed forces who have had peace accord with the army,” he said. Division 66 was reportedly accused of violating human rights and forcing labour during its relief work for Nargis around Kadon-kani village in Irrawaddy Division. Within one month, workers from Hlaing Tharyar Industrial zones had two strikes demanding to increase wages and other rights. On the 7th of this month, approximately one hundred workers from a frozen prawn factory in Hlaing Tharyar Industrial Zone 2 launched a strike just a few weeks after a different strike calling for increased salary in Zone 3 of the same industrial area on the 17th of last month. “Previously, there were often such injuries at work as finger cuts. Compensation is never enough for treatment,” said an official from a labour supervising committee in the zone. Burma’s military regime has attempted to deal with the frequent strikes in the industrial zones by means of such supervising committee. However, workers said about ineffective solutions to labour complaints despite having the committee since it was set up five years ago. “The workers themselves do not know that the committee has already set up in this mission. Now they have become aware of our committee standing for them,” said one committee member. “While a textile worker’s daily income, even if 2000 kyat a day, is so low that even a single person cannot find it enough for his living. Thus, our committee is very careful to receive their complaints and solve them,” he continued. According to a management committee of the Hlaing Tharyar Industrial Zone, this zone is the biggest one in Burma with the workforce of 50,000 to 70,000 workers and it has a variety of factories such as frozen foods, textile, wood, chemicals, household goods, etc. Of all over 800 categories, only about 400 can run for products. “This year when an election is to be held, the authority does not want the nation in the state of chaos. Therefore, we ourselves have to deal physically with the labour complaints in Hlaing Tharyar. Later in 2008 the employer whose business was on the verge of collapse, resulting in strikes because the demand to increase the wage was not met in spite of the employer’s promise,” said the committee official. The textile factories have complaints about the increase of daily wages, over-time charges and bonus for punctuality at work, but it is such textile business in Hlaing Tharyar that cannot run well. “We can say that the 2008 global economic crisis will not be able to recover until 2010. The order we receive today is lower than the past and the market demand in export is decreasing. So, we are worried how to solve the complaints from workers if they demand,” said the manager of A1 textile factory. In Rangoon Division, there are 19 industrial zones where the majority of ordinary workers are from all over the county. One official from an administration committee in Rangoon Industrial Zone estimates that there are over 150,000 workers in 9 zones. Received this news in Burmese from Mizzima. Two Burmese officials have been sentenced to death for leaking details of secret government visits to North Korea and Russia, the BBC has learned. The officials were also found guilty of leaking information about military tunnels allegedly built in Burma by North Korea, a source in Burma said. A third person was jailed for 15 years, the source added. The military rulers in Burma (Myanmar) have so far made no public comments on the case. The source told BBC Burmese that Win Naing Kyaw, a former army major, and Thura Kyaw, a clerk at the European desk of Burma’s foreign ministry, had been sentenced to death by a court in Rangoon on Thursday. They were found guilty of leaking information about government visits to North Korea and Russia, which reportedly took place in 2008 and 2006. 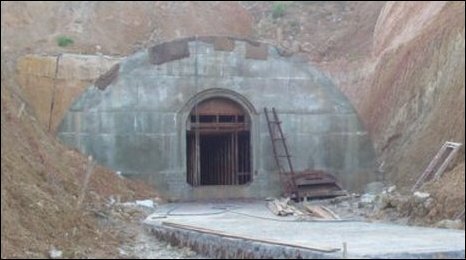 The two men were also convicted of leaking details of a network of tunnels reportedly being built in Burma. It is thought the tunnels were built to house communications systems, possible weapons factories and troops in the event of an invasion. The third man, Pyan Sein, was given 15 years in prison on Thursday. Burma still has capital punishment, but it has not carried out executions in recent years.